A collection of 70+ gameplay tweaks. Some changes include killable children (in accordance with the lastest USKP legendary edition patch), more realistic movement speeds and bigger dragons. This is a set of tweaks that i use in my game. Some of them were made because i had plenty of small mods that only changed a few settings each. So i decided to make a single mod containing all of them. - Thrall Control System (1.8a). See here for more details. If you're using immersive armors the summonable Dremora lord will still have the oblivion armor without helmet. 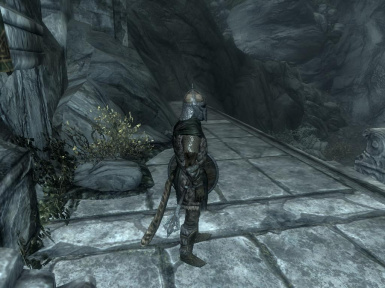 (It seems that immersive armors uses some sort of script to apply the armor to summoned dremora. I tested this by making 3 different dremora NPCs and 3 spells to summon them. All were summoned with the oblivion armor). If you use SkyTweak, but want to use this mod because of the other features, don't worry. 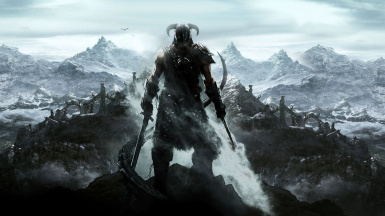 Your SkyTweak settings will override the ones in this mod. When using a item with the Clairvoyance enchantment, DO NOT, i repeat, DO NOT save your game. Unequip the item first, wait for the visual trail effect to wear off and then save. Otherwise the Clairvoyance trail effect will be stuck at the exact place it was when you saved the game. I still didn't find a fix for this (probably a bug with the engine itself). This also includes autosaves from fast traveling, waiting and resting. Please report any bugs that you find in this. I'm also welcome suggestions (especially about the items section). Do you have a small script free mod that is taking space in your loadorder? Or something that annoys you in the game but can be fixed in the CK? Or you don't like some of the tweaks? Leave a comment. Maybe i can implement it here.